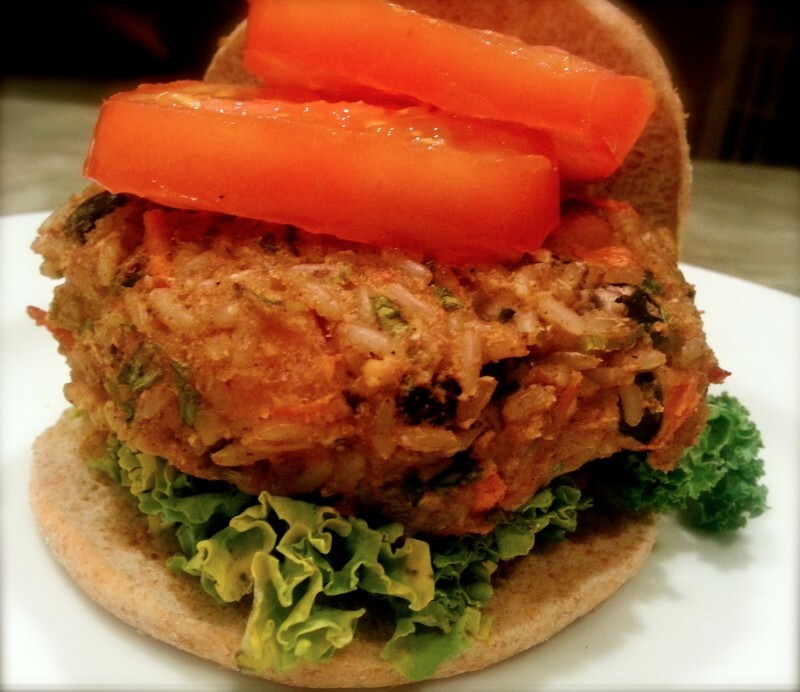 Serve these hearty veggie burgers on whole grain buns with your favorite condiments. A great make-ahead recipe, instructions for freezing and cooking from frozen are included. Preheat oven to 400°F. Combine all ingredients in a large bowl and stir to mix. Form the mixture into 4 patties. Place patties on the baking sheet and bake, flipping once half way through cooking, until browned and slightly crisp on the outside, about 30 minutes. To freeze the burgers, bake and cool them, then wrap in foil or freezer-safe wrap; unwrap the burgers and reheat them in the microwave, or place them on a pan and bake in a 300°F oven until hot, about 25 minutes.